Nick Calathes looks forward to a team and personal turnaround. 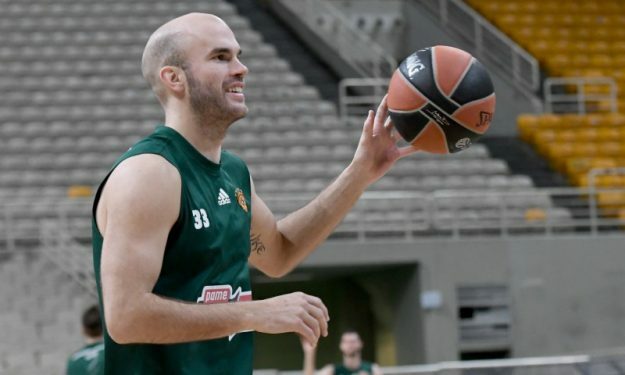 Panathinaikos captain Nick Calathes made his self-criticism on the poor performances he had in his team’s defeats to Baskonia and Khimki Moscow and emphasized on the necessity of helping his squad get back to wins in Friday’s (7/12) game vs. Fenerbahce. “My job is to do everything on the court. For me, I have to find what’s best for the team and guide us in the right direction. I must make the team better. I have to help my teammates be better and use them better,” Calathes said to Nova Sports tv channel. Calathes, an All-EuroLeague First Team selection in 2017-2018, finished the game vs. Baskonia with 5 points (1/8 from the field), two assists and four turnovers while having 2 points (1/9 shots), four assists and three turnovers against Khimki. In both matches, he notched -4 in PIR. “I must reclaim my confidence and get the team on my shoulders. I have to play better. Starting from Friday’s game I must help the team win. I don’t feel extra pressure. But like I said my job is to guide the team and I didn’t do it in the previous games,” Calathes added.